Digital marketing has literally shifted all kinds of establishments into a virtual world where website is king. The more appealing your website, the better are your chances of growing your business. Having a great website helps you market your business online. It also gives you the advantage of increasing your leads without trying too hard. In fact, a well-crafted website is like a sales marketer working 24/7 for bettering your business and generating revenue. How many websites do you really remember that you thought were impressive? A handful? Don’t let yours be a forgettable website. Invest in a good web designer to create a website that’s fresh and inviting. Creative websites leave a mark on the customers and make sure they remember to visit again. Make it aesthetically appealing. Break the stereotype. A word of caution; the website must be simple to use and must load fast so as to ensure that the visitor is not lost or loses interest too soon. Add appealing features to attract first-time visitors and make sure they stay. Rack your brains and come up with unique topics and powerful content to pepper your website with. Bring to the plate what no one else has; a unique point of view or well drafted information that can enhance viewership and engage customers. A creatively shot video of your team and company put up on your homepage can make a terrific effect on potential clients. It adds personality to your brand and helps them connect with you better. Visual stimuli generally stay longer with a customer. Use this trick to make a bigger impact. Quality content is the true key for success in today’s business world. Content featuring typos, poor grammar and excess usage of keywords can instantly put the customer off and may spell doom for online marketing of your brand. Make sure you invest in content that is well-written, is compelling and creative so that your potential clients can assess the quality and seriousness of your work. Adding educational elements to the content also make it more sharable while making your website a resource for users that they will want to come back to. Spend time on your website and update it frequently. Your website should not look dead or stuck in the Stone Age. It’s important that you put in content that’s updated and suited to current interests. Showcase your recent work, upgraded technological expertise or just a new point of view. Basically, keep your website alive. Stock photos are obsolete. Period. Clients and agencies want to see the real you. Where businesses are collaborating and growing by the day online without practically ever meeting each other in person, sharing the real essence of your company and your team is important. Put pictures of your employees at their natural best. Let your website be full of pictures and content that showcases your company and you. This is vital to trust building and will take you a long way. Add an appealing, downloadable brochure or report of your merits on your webpage that is available to the visitors to read. Your customers want to know what skills you own and whether you are the right bet for them. Give them what they want. Put in relevant points and salient features of your expertise clearly on your website. For example, we at Flying Penguins, offer end-to-end digital solutions to our customers starting from development to marketing to business automation. Our website is enriched with clients we work for, our approach and our results, clearly. 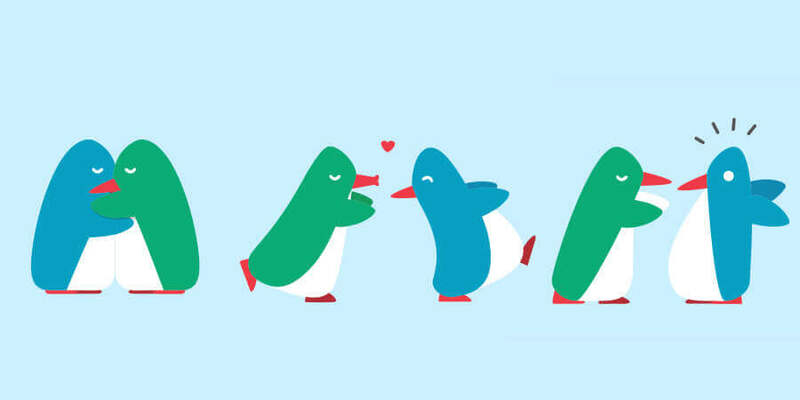 This helps us in drawing potential customers who get clear idea about how we work at Flying Penguins. When it comes to attracting customers, be direct and specific about your services and expertise. Putting in customer reviews help too. When a potential customer visits your website, it is all that there is to do the bidding for you. Make your website all about serving your potential customers what they want. Put up content that will interest them. Use case studies that will help them understand your methodology in solving problems. Communicate your strengths in a way that is useful for them. Make it about them, not you. Increase your prospects of better business by carefully designing a great website. A website that stands out is more memorable and unique, thus engaging potential clients and boosting your brand! A quality website is the heart of any good business. It is often what makes the first impression on your customers. Make sure you hire a professional service for developing a good and effective website. If you’re struggling for ideas for your new site or need help with building one, come visit us at Flying Penguins and allow us to be a part of your website journey! ← Revealed! E-commerce Conversion Rates!